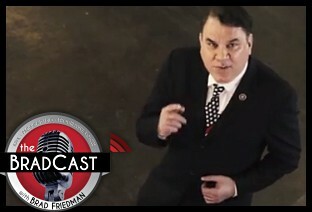 " Rep. Alan Grayson on Sanders, Hillary, TPP, SCOTUS and Disneyland: 'BradCast' 4/30/15	"
« PREVIOUS STORY "'Green News Report' - April 30, 2015"
"Rep. Alan Grayson on Sanders, Hillary, TPP, SCOTUS and Disneyland: 'BradCast' 4/30/15"
Des: I think it a mistake to attribute media references to "Hillary" as being the product of gender bias. If the press refers to "Warren," everyone immediately understands that the article refers to Elizabeth Warren. But if the press writes "Clinton," there is a question as to whether it is referring to Hillary or Bill. Always great to hear from Grayson! Smart AND gutsy.